Vietnam is one of the fastest growing and most exciting international golf holiday destinations of 2018 and features golf courses created by the world’s most famous designers (the likes of Jack Nicklaus, Greg Norman, Pete Dye and more)! Encased in exotic culture and rich cuisine, Vietnam offers experiences you won’t find anywhere else in the world. 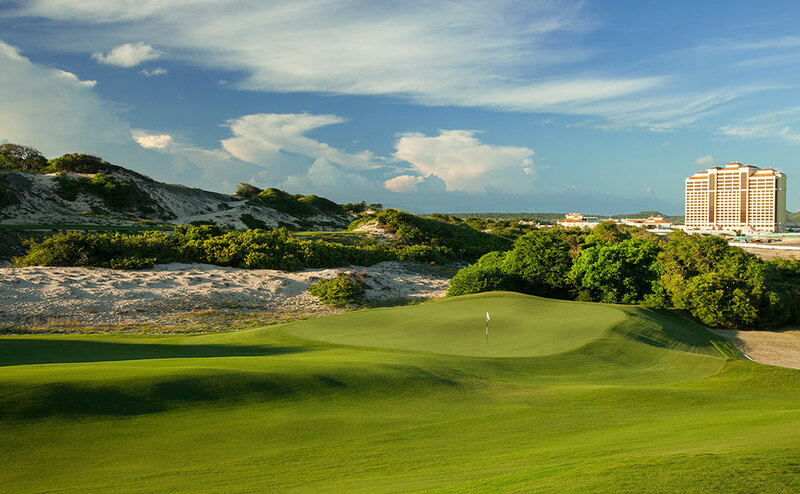 To date, Vietnam hasn’t been known as a huge golfing destination for Australians, with Thailand and China being the most popular Asian golf destinations … but that’s all changing. 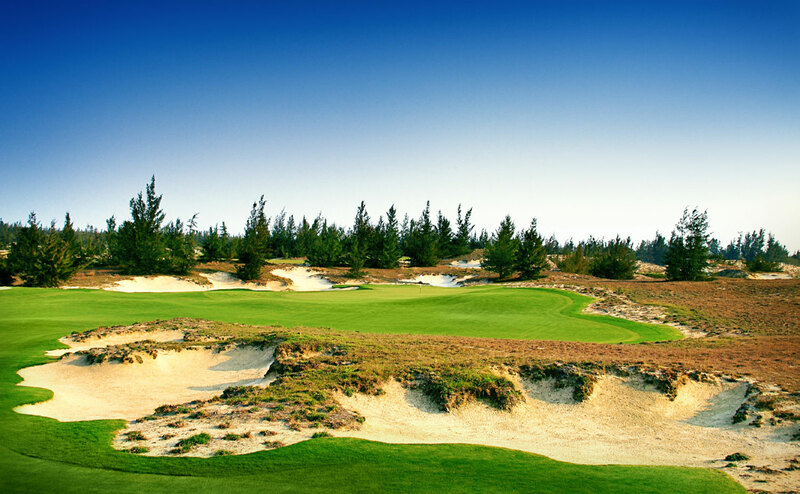 Vietnam currently boasts over 40 championship courses and there are many more in development. Our very own Greg Norman took to Vietnam’s Southern Coast and has already hosted a stop on the European Tour, with his course, The Bluffs Ho Tram – ranked the No. 1 Golf Course in Vietnam. The Bluffs Ho Tram features sensational rolling dunes and dramatic ocean views which come into play on virtually every hole. A slightly different experience to the usual course options in the Southern golfing region of Ho Chi Minh, which offer undulating fairways winding around foothills and National Parks. However, Ho Chi Minh offers so much more than just golf. Steeped in history, discover destinations such as the famous Cu Chi Tunnels used in the Vietnam war which are said to spread underground across the entire country. From Ho Chi Minh you also have access to the famous Mekong Delta, a vast maze of rivers, swamps and islands - home to floating markets, Khmer pagodas and villages surrounded by rice paddies. A truly unique and exotic experience only a few hours south from the City. Whilst Southern Vietnam is home to the No. 1 golf course, nothing compares to the courses on offer in the Central Coast of Danang. Pristine beaches, lined with 5-star resorts, surrounded by historic and cultural sites in every direction. Add to that multiple Championship Courses and it’s easy to see why this is fast becoming the new golfing hub of Asia. Other than Greg Norman, the golfing legends who have designed these world-class courses include Nick Faldo, Colin Montgomerie, Luke Donald and Jack Nicklaus who is set to open a new 18-hole championship course in 2019. From teeing off the edge of the rolling peaks of Ba Na Hills, to testing your skills against the unpredictable terrain along Vietnam’s Coastline at Laguna Lang Co, or escaping the sand traps on The Dunes Course at BRG Danang Golf Club – there is much diversity to experience in golf in Danang. But the experience doesn’t stop at golf in Danang. It is home to many tourist sites, such as Marble Mountains - a cluster of five marble and limestone hills (located just south of Danang City) that feature hidden shrines, tunnels and caves; The Imperial City of Hue, a walled palace known as the former Imperial Capital of Vietnam; and many relicts from the Vietnam War. And then we come to Hanoi, whose culture is a bit more traditional than the other 2 cities. The golf courses are typically surrounded by the jagged rocky terrain that is found in Halong Bay, with local paddy fields lining the fairways. Hanoi reflects Vietnam in its early days, untouched by huge developments, however still providing golfers the choice of over 10 world-class championship courses scattered outside the city rim. Beyond the city, the Northern region is home to the world-renowned Halong Bay, one of the most beautiful places on earth. 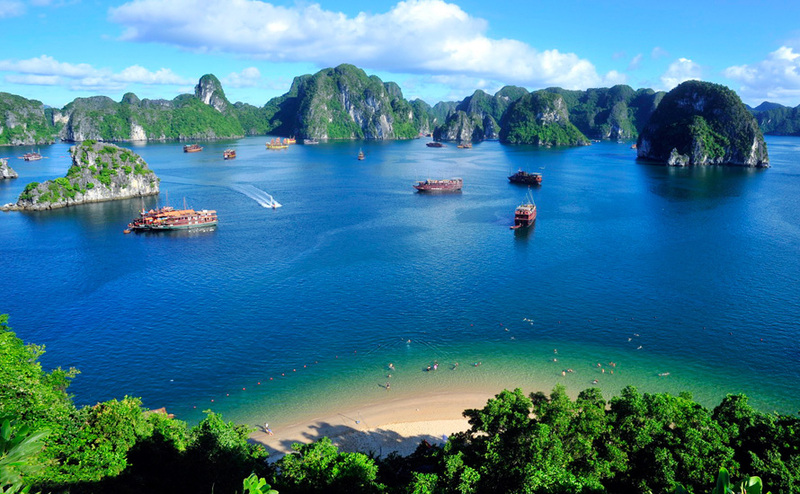 Embark on a cruise and discover Halong Bay’s emerald waters and its thousands of soaring limestone islands capped by rainforests – perfect for golfers and non-golfers alike looking for a breathtaking finish to a trip. If you’re a food enthusiast, you’re going to enjoy the variety of flavours across all the golfing regions. Most cities offer food tours for those who wish to enjoy the local delicacies. Discover local food markets where fresh ingredients are purchased before having them cooked right in front of you. Learn where the best street food is found and indulge in the freshest and most fragrant cuisine on the planet. Despite its emerging sophistication, there’s still an element of discovery about Vietnam. It’s the blue sea lining the coast’s edge, that meets the rolling green hills. It’s the Vietnamese hospitality and culture that hasn’t changed over the years and that continues to drive travellers back each year. Vietnam is where exotic culture, incredible history and delicious cuisine encounters great golf. Vietnam is the new hot-spot for golf trips, whether you prefer one city or want to take on all 3, The Golf Travel Agency covers everything you need to make this a reality. Visit our Vietnam Golf Holidays page and find some inspiration for you next golf holiday!